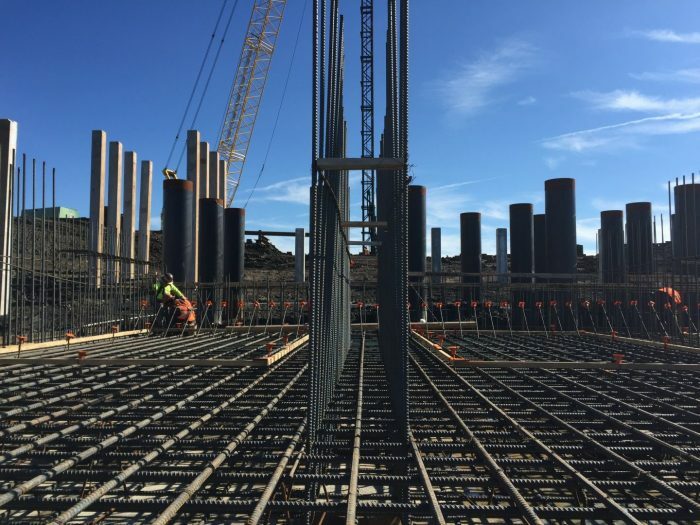 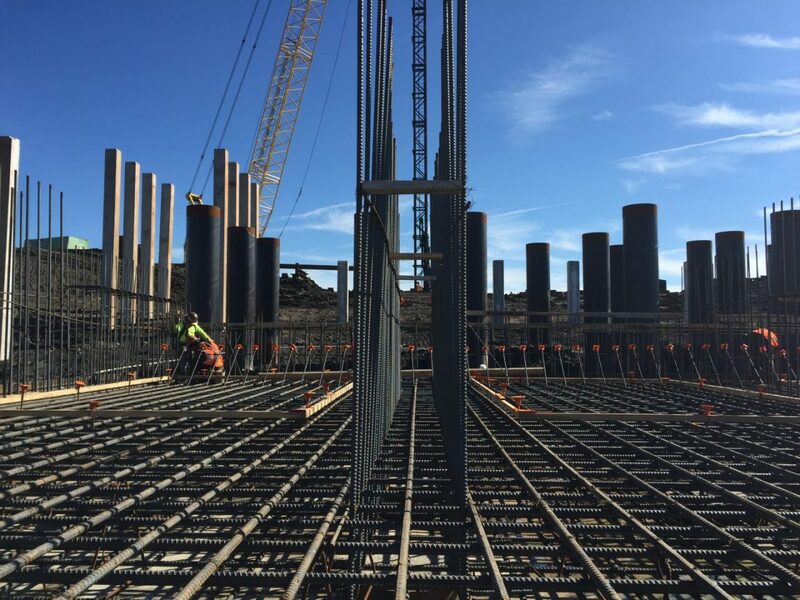 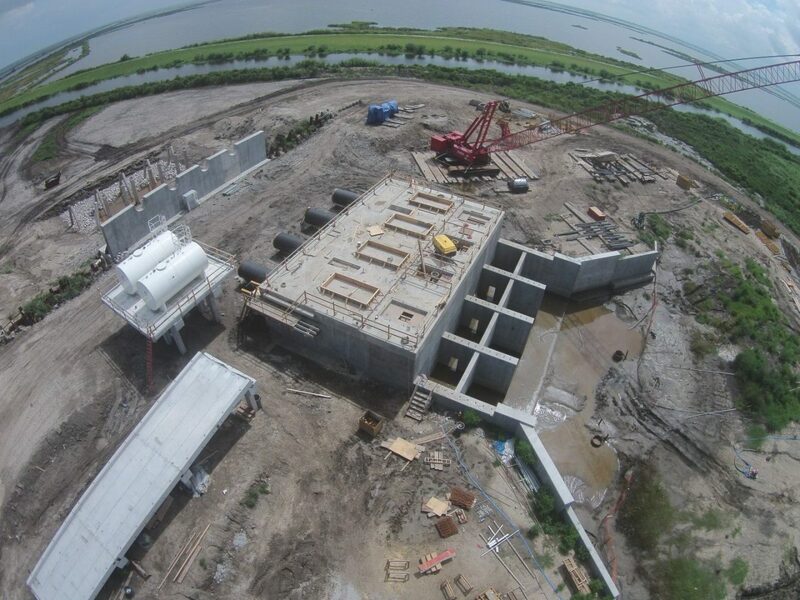 Wilkinson Pump Station | Wharton Smith, Inc.
Wharton-Smith is currently constructing a new storm water pump station for the U.S. Army Corps of Engineers. The project consists of driving steel pipe piles, H piles, sheet piles, and concrete piles, forming and pouring structural concrete, setting precast concrete panels and bridges, installing 66″ discharge pipe and bells, four 200,000 GPM vertical pumps and engines, two 7,900 gallon fuel tanks and all applicable fuel piping, diesel and electric air compressors and air piping for diesel driven engines, a 150kW generator, installing the diesel engines and generator’s liquid coolant piping and appurtenances, the construction of a metal building with bridge crane and hurricane safe room, and the construction of a concrete floodwall which will tie into the parish’s earthen levee systems. 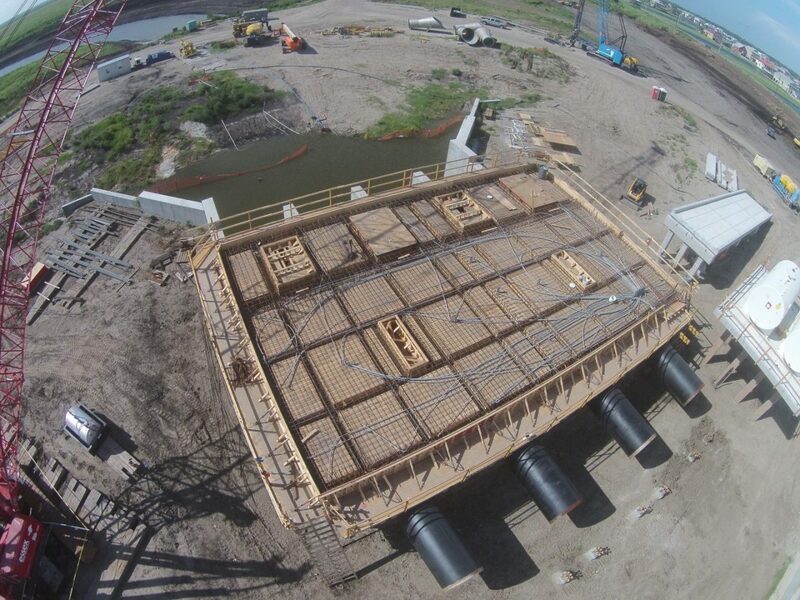 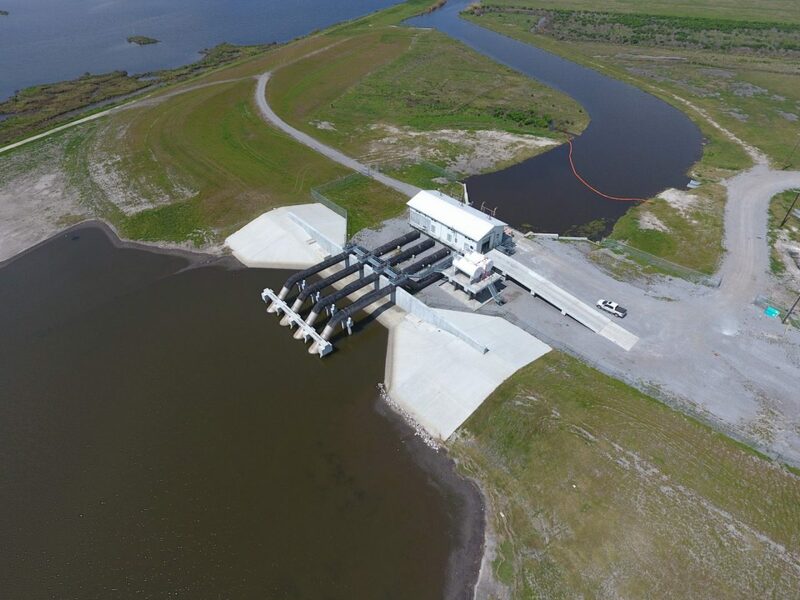 The station is part of the U.S. Army Corp of Engineers Hurricane and Storm Damage Risk Reduction System (HSDRRS), which enhances the pump stations, levees, and floodwalls in and around the New Orleans area to protect against a 100 year storm threat.